The first step of 2019 ESICM Award application process is completed. Pre-selected candidate will be contacted shortly to fill out the full application. 315,000 euro is available for eligible research projects in 2019! A range of research awards funded by ESICM is on offer to enable qualified investigators to carry out specific basic and clinical research projects – from young specialists to more established investigators. 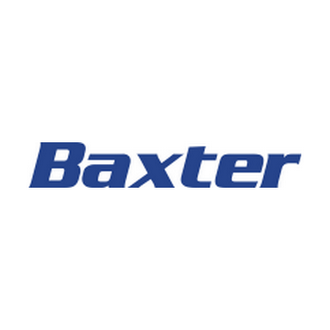 As well as the ESICM Awards Programme Overview, industry-supported research awards will be offered by Baxter, GE Healthcare and Epimed Solutions. These awards provide an impetus to research activities undertaken by ESICM members and grant the distinguished applicants peer recognition and greater exposure. Please note that only ESICM members are invited to submit an application. Results will be given during the Summer. Applications can come from anyone who is a member of the Society. The 2019 Award ceremony will take place during LIVES 2019 in Berlin on Wednesday October 2nd, 2019. Watch the 2018 Award Ceremony here. Those pre-selected will have the opportunity to compete independently for Professor Burkhard Lachmann Award for Experimental Research. The Jury will be considering those projects that are competing for the 2019 Basic Research Awards. The Professor Burkhard Lachmann Award allocates a grant amounting to 5,000€, which is fully funded by ESICM. The project should cover families’ needs and expectations, care providers & patient interactions, long-term outcomes in ICU survivors. The plan should be conducted within a 12-month work period in a European country. We encourage N&AHP members to apply. The NEXT Start-Up Grant supports the professional development of talented newly board-certified intensivists who already have a background in research and are willing to develop independent research programmes. The specific intent is to provide support for young and talented researchers/scientists who have the potential to become established independent investigators in the field of intensive care and emergency medicine. Board-certified Intensive Care Physicians within 5-years from consultancy, who can demonstrate a solid background in research (e.g. PhD, MD, publications list/reference), are invited to apply. Applicants must demonstrate institutional support to facilitate research activities and professional development. Research programme proposals may rely on approaches ranging from basic cellular responses to outcome research, and may include clinical applications, as well as translational science. Timetable and milestones definition are required. Research programme timetable specification, including milestones and objectives are also required at time of application. A progress report should be submitted by the researcher to the Society after one year. Dissemination of results through ESICM events and journals, within three years following grant allocation, is required. There will also be long-term follow-up of professional development as an established independent researcher. The NEXT Start-Up Grant allocates a grant amounting to 25,000€ per year for up to two years. This grant is fully funded by ESICM. The Clinical Research Award allocates a grant amounting to 20,000€, which is fully funded by ESICM. The Basic Science Award allocates a grant amounting to 20,000€, which is also fully funded by ESICM. !!!NEW!!! Those pre-selected will have the opportunity to compete independently for Professor Burkhard Lachmann Award for Experimental Research. The grant money is 5,000 EUR and the Jury will be considering those projects that are competing for the 2019 Basic Research Awards. In order to foster progression of women in academic careers, this prize supports the development of research activities undertaken with the active contribution of a female applicant. The specific intent is to provide support for young and talented female physicians/scientists who have the potential to become outstanding independent investigators in the field of intensive care and emergency medicine. The research proposal may focus on approaches to topics ranging from basic cellular responses to outcome research, and may include clinical applications as well as translational science. N&AHP abstract award winners will be honoured at the N&AHP Abstract Awards & Networking session at LIVES 2019.